At Hydroblast, we provide water jetting training courses to educate operators to the highest standard of water jetting. In fact, our training is accredited by City & Guilds, and we are also a registered provide of the Water Jetting Association. As a result, we are able to train companies to the industry standard of water jetting. With training facilities at our Yorkshire base in Gatenby, we are able to offer training at the Hydroblast HQ as well as being able to travel to others who would rather have the training on their soil. Why is High Pressure Water Jetting Training Necessary? Using high pressure water jets is a dangerous business, particularly to the untrained user. The water is exerted at such a high pressure that it could cause serious life-threatening injuries if not used in the right way and with the relevant safety precautions. 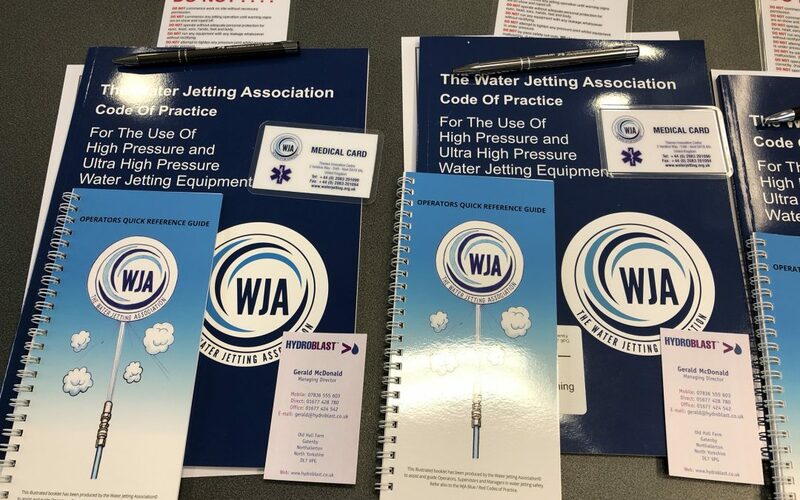 Due to the risks involved with the practice of water jetting at high pressures, training is essential to ensure employee safety and make sure that water jetting equipment is used correctly. Without training, operators run the risk of injuring themselves or carrying out a job badly. With years of water jetting experience under our belt, we offer high pressure water jetting training to other companies looking to use water jetting equipment in their work. 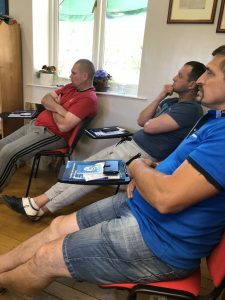 Whether clients would prefer to come to our premises or would like us to train them on their own site, we can tailor the training course accordingly. We sell high pressure water jetting equipment and a customer recently purchased a large order of equipment from us. The customer bought an excellent pump, spare hoses and parts, flexible lances, tube cleaning nozzles, back out prevention equipment, whip checks, and TST PPE. With all of this excellent equipment being new to the company, the client asked us to not only teach them how to use the equipment, but they also chose to spend two days with us to do our high pressure water jetting training course. The first day consisted of safety awareness, and the second consisted of us training their operators in both tube cleaning and pipe cleaning using water jetting equipment. Who Needs Water Jetting Training? There are a variety of industries that utilise water jetting in their work, from drain cleaning contractors to large construction companies. Although we can be hired to help out in a variety of industries, some companies choose to invest in equipment themselves if the use of high pressure water jets is frequently needed. 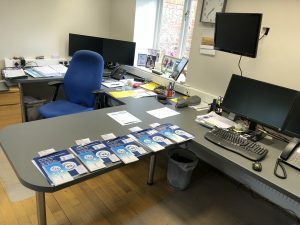 In these circumstances, water jetting training is absolutely essential, and we are on-hand to carry out high pressure water jetting training to those who need it. Training is also relevant for existing water jetting operators who require re-training or would like to improve their skills and knowledge. Once training is complete, we provide all successful trainees with a high pressure water jetting Certificate of Training. If you or your company require water jetting training, contact us today to book a course with us. Alternatively, we run open courses every second Thursday of the month!